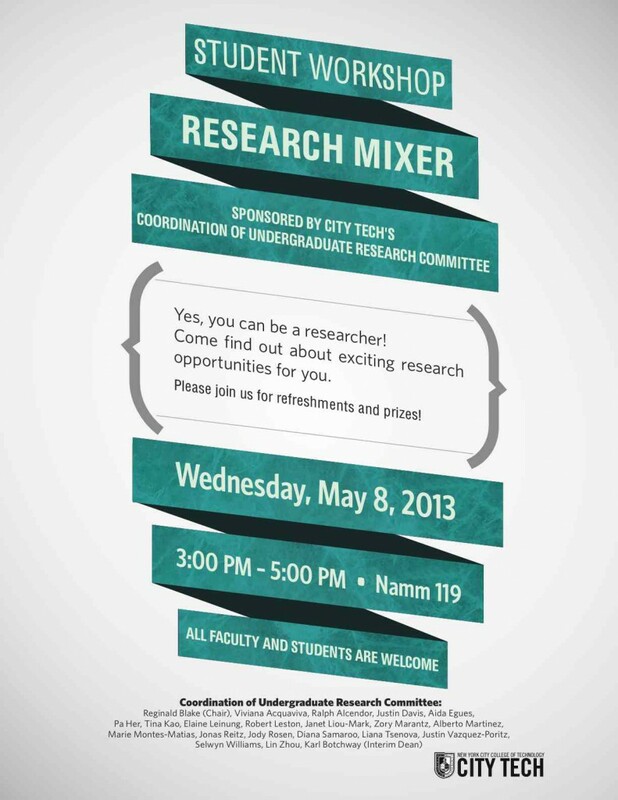 Join the Undergraduate Research Committee at our semi-annual research mixer! 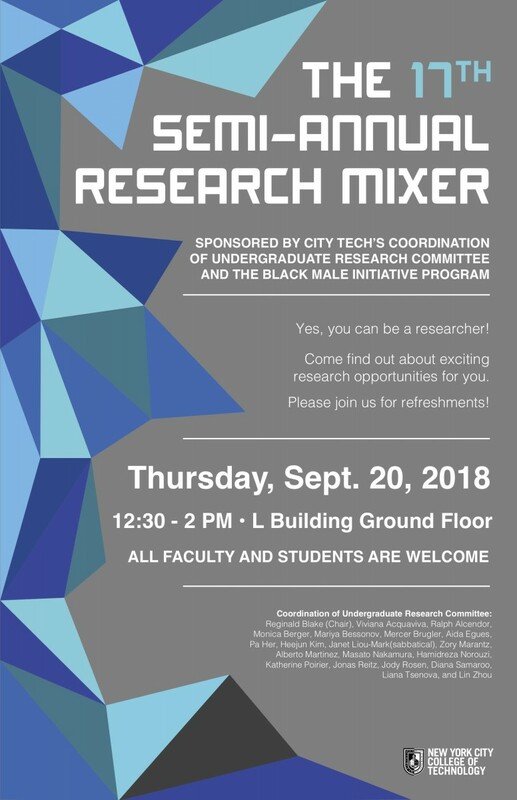 This will be a great opportunity for students and faculty members to meet to discuss their research interests, with the goal of establishing mentor-mentee relationships for next semester. 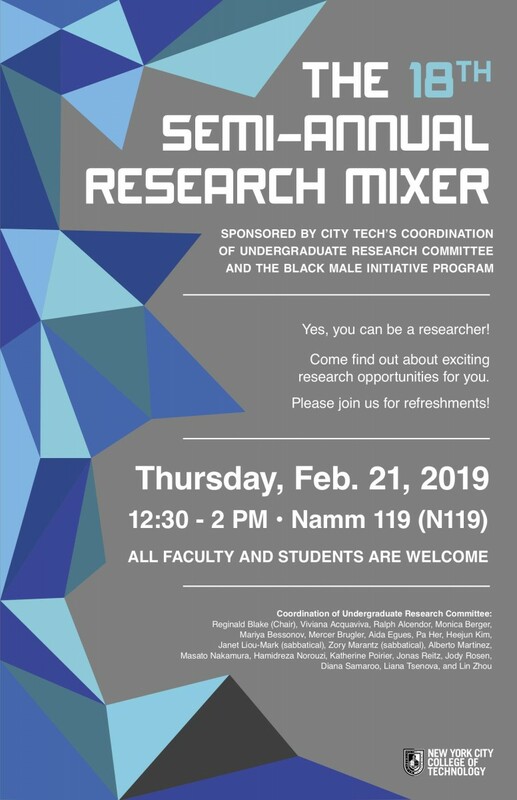 If you are a faculty member who has mentored student researchers before, or are new to the mentoring process, we hope you can come meet the next group of student researchers! 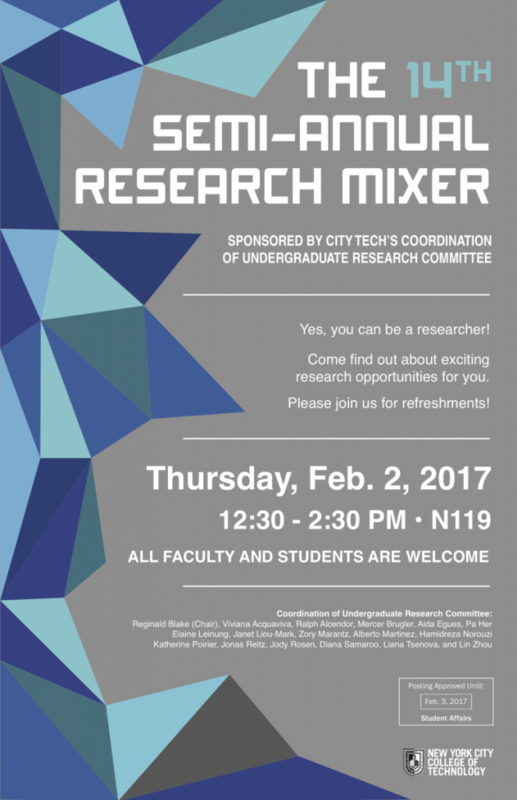 If you’re a student interested in starting a research project, come learn more about the opportunities available at City Tech. 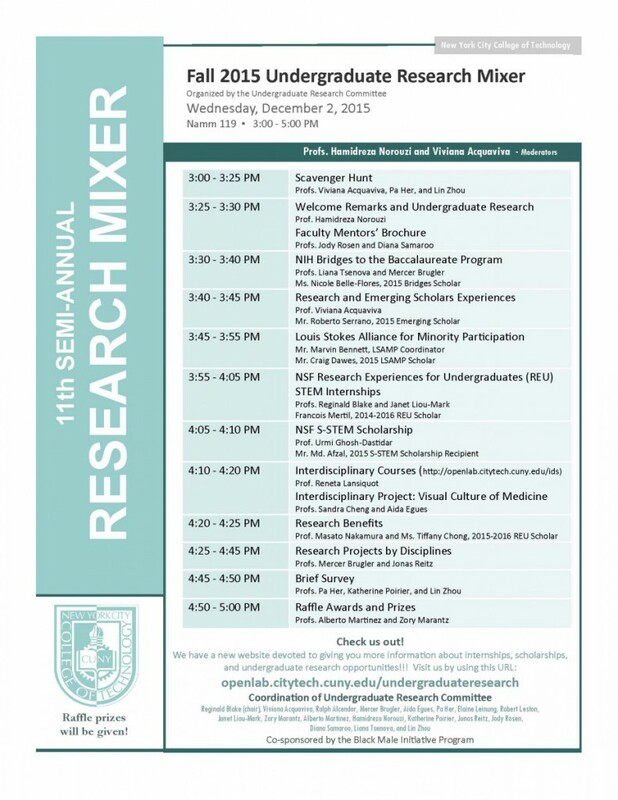 We hope to see you in N119 on 12/4 at the end of the first day of the Student Research Poster Session. 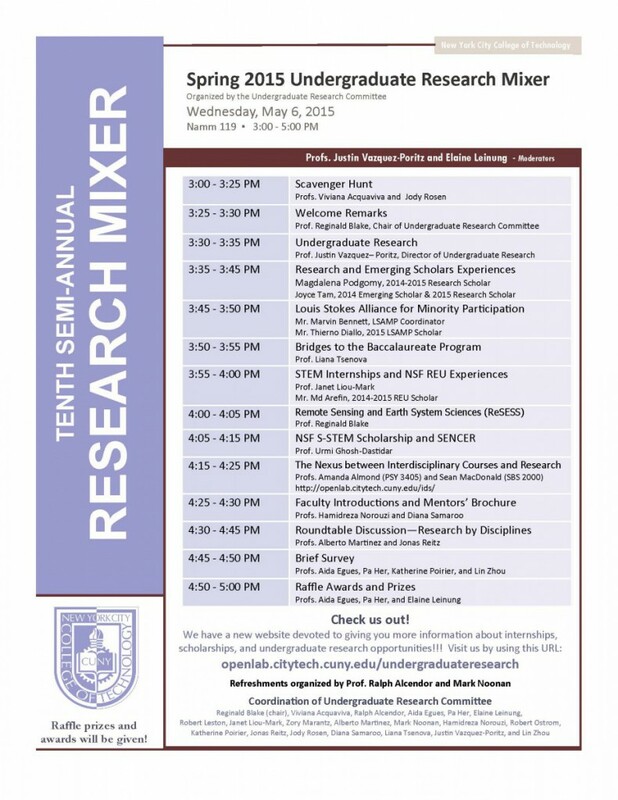 Calling all faculty and students interested in mentored undergraduate research! 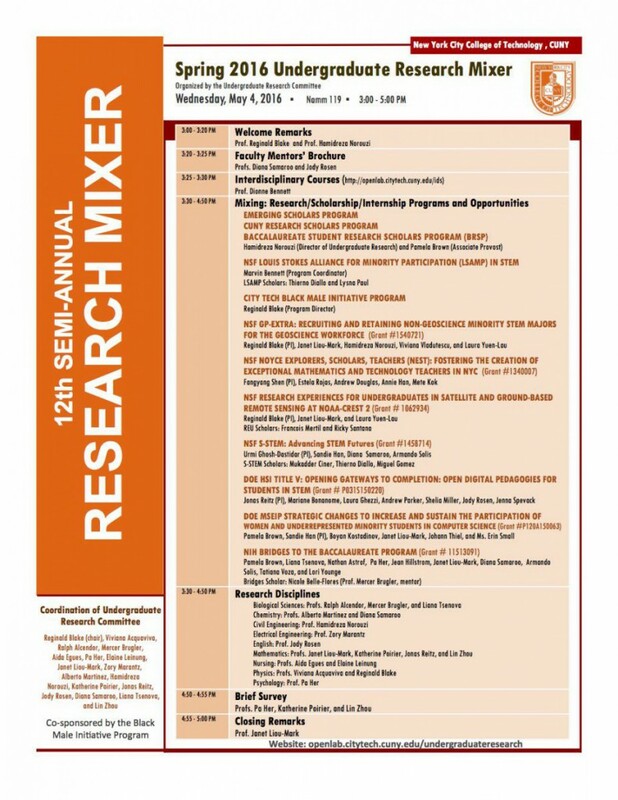 Today is the semi-annual Research Mixer, an opportunity for students to learn from faculty mentors about benefits of and opportunities for working with a mentor to conduct a research project. 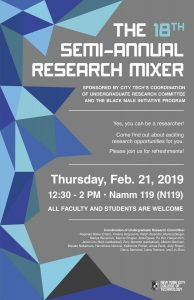 The Undergraduate Research Committee hopes that the mixer will facilitate meaningful connections between research mentors and students interested in research. Not sure if you’re ready to take on a research project? Come listen and find out more about the process! And, of course, snacks for all and prizes for a lucky few!